With the administrations latest suspension of the building along the border…..People have begun to take a look at all the high-tech stuff that has been thrown against the problem…. Is Border Patrol officers ‘boots on the ground’…. The Secure Border Initiative Program has been spotty at best…….. The Obama administration’s recent surprise decision to suspend new work on a multibillion-dollar high-tech border control system — the third attempted since 1997 — raises further questions about the government’s use of computer networks and sensors in an effort to seal the border with Mexico. As part of a broad illegal immigration crackdown called the Secure Border Initiative, a seamless “virtual fence” launched in 2005 was supposed to be up and running by last year. Among other things, the project known as SBInet called for a vast surveillance system along the 2,000-mile Southwestern border capable of detecting immigrants, drug traffickers, and potential terrorists as they attempted to cross into the United States. But at the current slow pace of construction, SBInet would take decades to complete. Only a 28-mile-long prototype is fully up and running in Arizona, to mixed reviews. In March, shortly before the House Homeland Security Committee met to discuss SBInet, Homeland Security Secretary Janet Napolitano announced that $50 million in planned stimulus spending on the project had been diverted to other border protection initiatives. That marked a sharp turnabout for the Obama administration, which had professed strong support for the effort. Napolitano, a former Arizona governor who backed using such technological solutions on the border during her nomination process, saidthat SBInet “has been plagued with cost overruns and missed deadlines.” It also has been marked by technical problems and poor government planning, according to congressional testimony and independentinvestigations by watchdogs like the Government Accountability Office. The lead contractor on the project, Boeing Co., has earned $615 million so far. Company officials declined requests from the Center for Investigative Reporting to comment on SBInet. 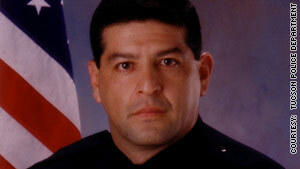 Officials from U.S. Customs and Border Protection also would not answer questions about the project. The problems with SBInet represent what critics call the federal government’s history of overreliance on speculative technology sold at great cost to taxpayers. Washington has spent some $800 million on SBInet. When earlier failed border technology projects are included, the price tag jumps to $1.1 billion, according to figures released during congressional hearings. Some lawmakers now are questioning whether SBInet should be abandoned. Backers say that bugs in SBInet technology are being ironed out and the prototype is beginning to produce results, including the apprehension of intruders. Still, the continued march of illegal immigrants into the United States, despite the Secure Border Initiative, has undoubtedly set back efforts at comprehensive immigration reform and perhaps will lead other states to follow the example of Arizona, where a tough new immigration law has triggered protests across the country. 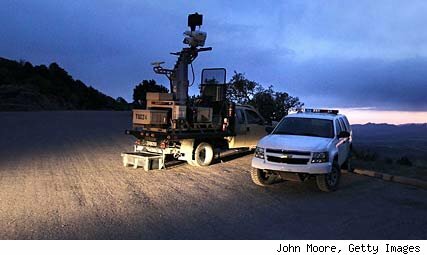 High-tech border surveillance took on a new sense of urgency in the wake of the terror attacks of Sept. 11, 2001. Concerns about immigration and national security merged in a campaign for an array of cameras, sensors, and computer technology that would alert border protection officials when intruders were detected. FBI raids today are about foreign smuggling of money INTO the United States……..
From CNN …..this Breaking explanation about the series of early morning raids….. The Dog kinda quessed about this…..
Raids by federal agents in Massachusetts, New York and New Jersey on Thursday are focused on a system of “cash couriers” who bring money into the United States from overseas, a source close to the investigation said. Three people were taken into custody, according to a U.S. official — two in Massachusetts and a third in Maine. A statement from U.S. Immigration and Customs Enforcement confirmed that three people were taken into custody on alleged immigration violations, but provided no further details. All three are from Pakistan, according to a U.S. official. One is a so-called “visa overstay.” Another was in the process of being removed from the United States, but had not yet been ordered removed, as he was attempting to adjust his status so that he could stay in the country, the official said. A federal law enforcement source said the initial two detained were connected to the case, but said they were “collateral” in the sense that they may not have had direct knowledge of or input into the Times Square plot. Investigators searched locations in and around Boston, Massachusetts, and in New York and New Jersey, a federal law enforcement source said. 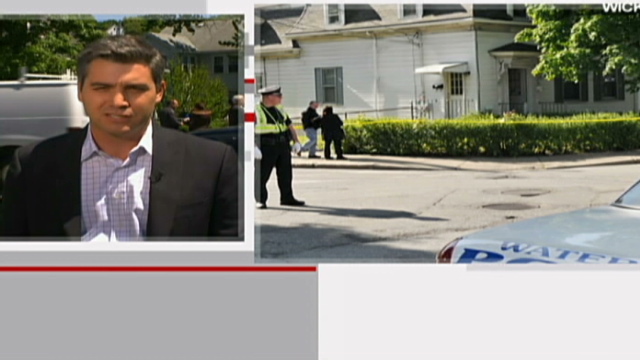 Two locations on Long Island were among the targets of the raids, a federal law enforcement source told CNN. The FBI executed search warrants at both locations in Suffolk County, New York, in eastern Long Island, the source said. Tim Motz, a Suffolk County Police spokesman, said officers from that department were assisting federal agents. No arrests had been made……. Make Solider’s wives whole….Make them citizens…..
One of the parts of the Immigration debate that has escaped the news is wives of serving US soldiers that happen to be immigrants…. I know it shouldn’t be that you can marry a solider to stay in the country…. If you ARE married to a soldier that out there putting there life on the line…. The oughta be an exception…..
Immigration lawyers and Department of Homeland Securityofficials say that many thousands of people in the military have spouses or close relatives who are illegal immigrants. Many of those service members have fought to gain legal status for their family members — only to hit a legal dead end created in 1996, when Congress last made major revisions to the immigration laws. Lieutenant Tenebro would like to make a career in the military, including new missions to Iraq or Afghanistan, but for now he is not stepping forward for an overseas deployment. “Our situation has kept me at bay because of the constant worry that something might happen to my family while I am away,” he said. With the debate over illegal immigration sharpening after a tough law passed in Arizona, immigration lawyers said the Tenebros’ case illustrates legal obstacles that have stopped immigrants from becoming legal even when they could qualify. “We have made it impossible for many illegal immigrants to become legal,”* said Charles Kuck, an immigration lawyer in Atlanta who was 2009 president of the American Immigration Lawyers Association, the national bar. Many lawmakers say that existing penalties have helped curb illegal immigration and, if anything, should be increased. Like Lieutenant Tenebro, many soldiers, anticipating rebuke and possibly damage to their careers, do not reveal to others in the military their family ties to immigrants here illegally. Make Solider's wives whole….Make them citizens….. In another blow to Obama… Hispanic’s go after Rahm on immigration…..
As if the President doesn’t have enough grief with democrats scared of midterm elections….the Congressional Hispanic Caucus (CHC) is now declaring war on Rahm Emmuel, in particular….The CHC are not happy that Illegal immigrants are being denied access to getting health insurance from their employers….. While the House bill would give them way to get insurance..the senate version would not….. The whole policy question plays out to this…..should the White House jettison any thing for illegal’s to get votes from the right?….or should they fight for the hispanic/latino vote? The fact remains that people will go to the hospital for care when have to…do we…the taxpayer pay for that?…or do we let them pay for that, even if they are illegals (but willing to pay out of their own pocket)…. In another blow to Obama… Hispanic's go after Rahm on immigration…..